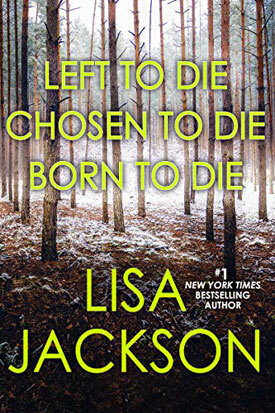 Detectives Selena Alvarez and Regan Pescoli of Grizzly Falls, Montana, investigate the most twisted and shocking crimes in the first three novels of the popular To Die series by #1 New York Times bestselling author Lisa Jackson. A demented killer knows there’s nothing more terrifying than being left alone to die. But his exquisite plan to kill and kill again unravels when detectives Selena Alvarez and Regan Pescoli take on their first career-making case. After working the “Star Crossed Killer” case for months, detective Regan Pescoli never imagining she’d be captured by the madman she’s been hunting. Now it’s up to detective Selena Alvarez to get inside a killer’s twisted mind to save her partner’s life . . . Someone is killing women who all share an uncanny resemblance to Dr. Kacey Lambert. It’s a chilling pattern that detectives Selena Alvarez and Regan Pescoli must decode before a sick mind claims its final victim . . .